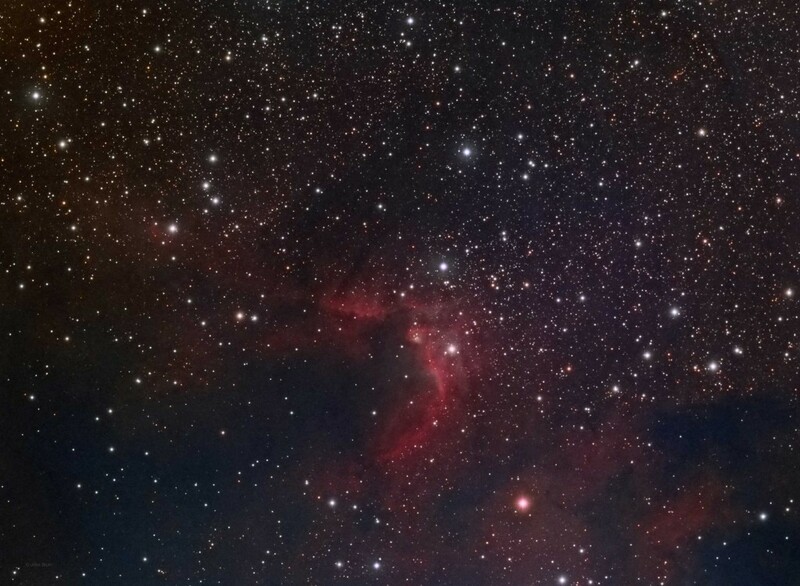 The Cave Nebula, also known as SH2-155 or Caldwell 9, is an emission nebula that also contains a large dark nebula and smaller reflection nebula. 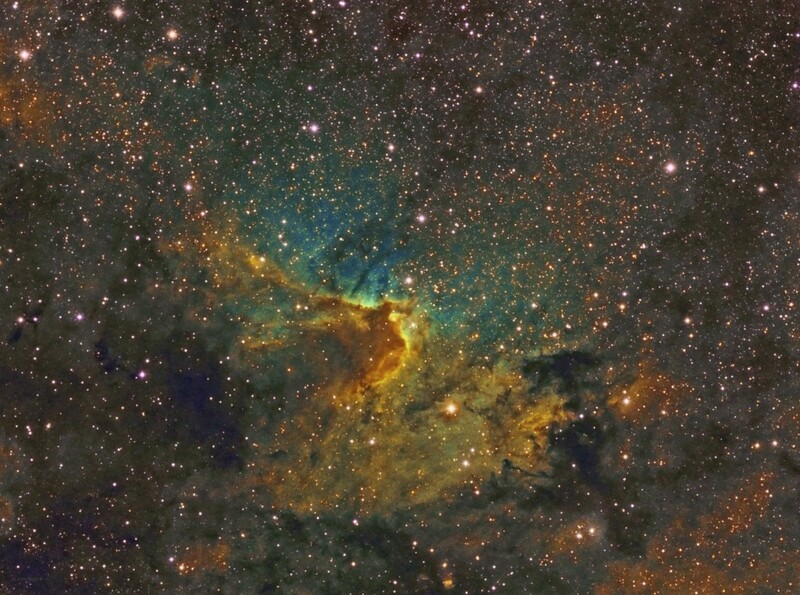 It is located in the constellation of Cepheus and is about 2,400 light years away. The dark nebula also known as LBN 529 forms the cave part of the nebula and its shape stands out from the contrasting emission nebula on the curved part of the cave. The source of illumination is a group of young stars called the Cepheus OB3 Association. These stars are very young at an estimated age of 100,000 years. LBN 527 is just to the right of the cave area. Also in the field of view is LBN 524. 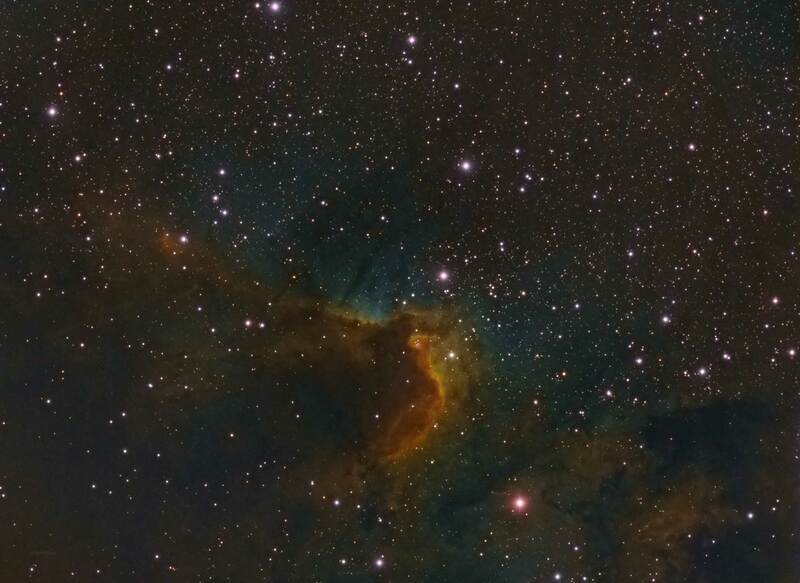 It is a dark nebula that appears to the lower right of the Cave Nebula. 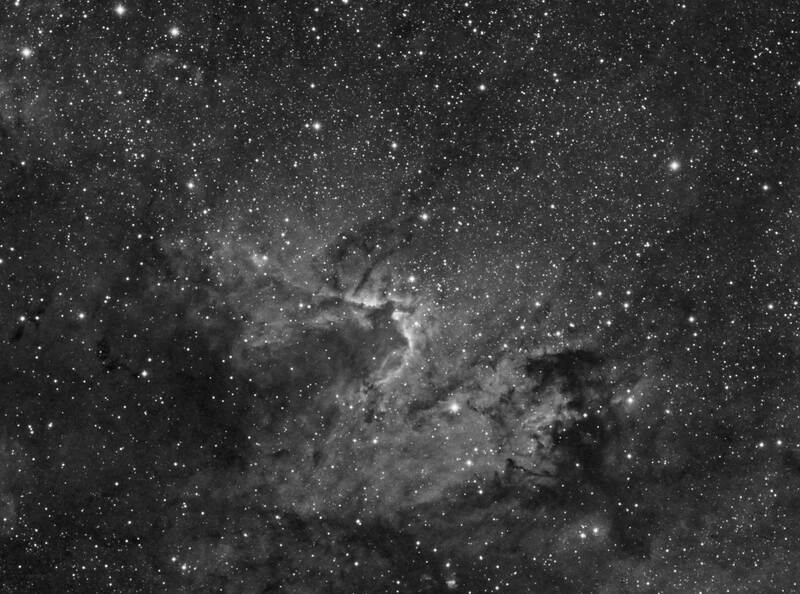 Also in this same area are dark nebula LDN 1215 and LDN 1216. On the other side of the Cave is dark nebula LDN 1218.